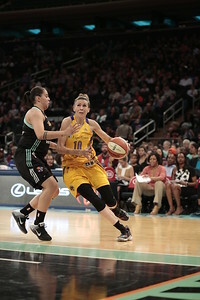 New York Liberty forward, CAROLYN SWORDS (8), drives to the basket against Los Angeles in a game at Madison Square Garden in New York City. 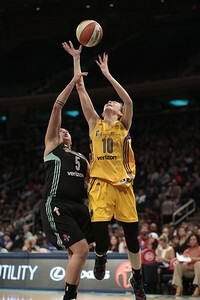 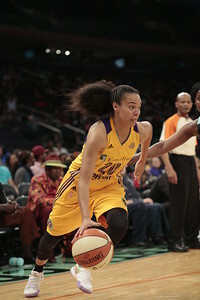 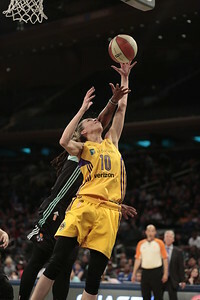 Phoenix Mercury center, Brittney Griner (42), drives to the basket against New York in a game at Madison Square Garden in New York City. 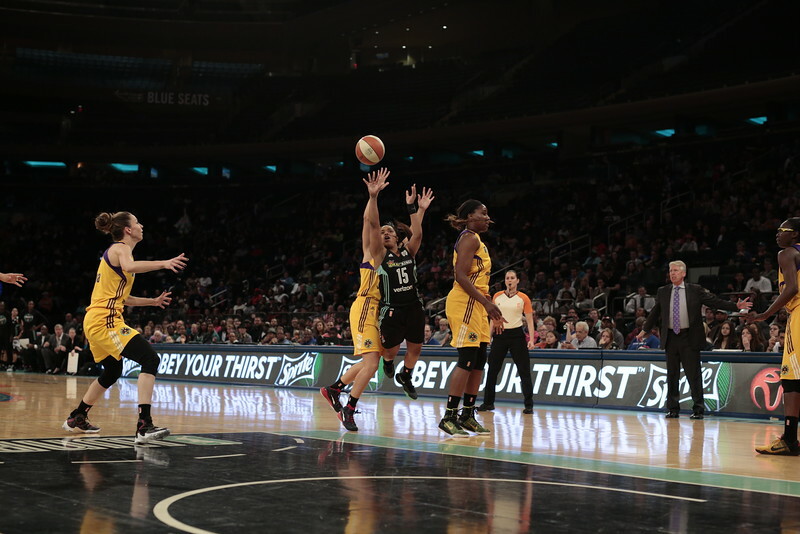 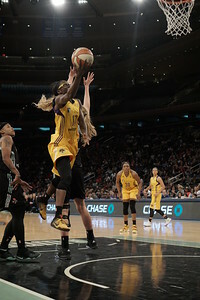 New York Liberty center, TINA CHARLES (31), drives to the basket against Los Angeles in a game at Madison Square Garden in New York City. 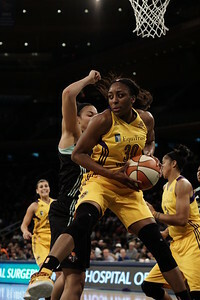 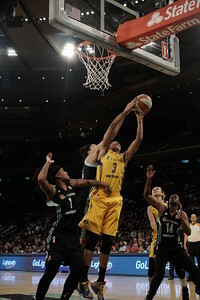 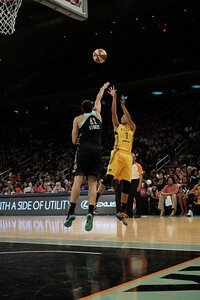 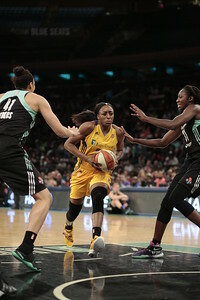 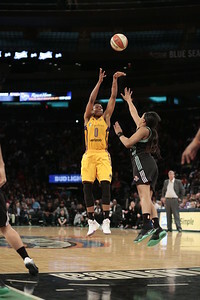 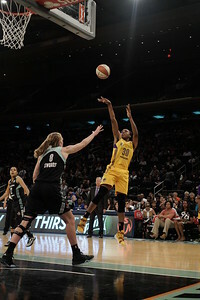 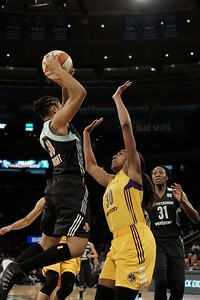 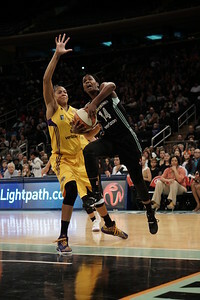 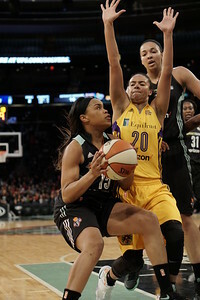 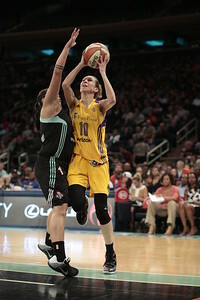 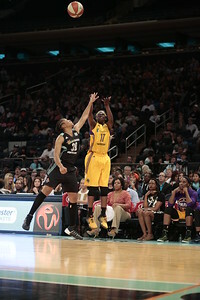 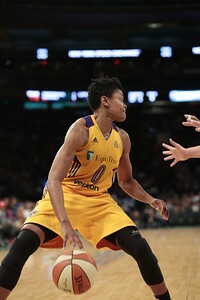 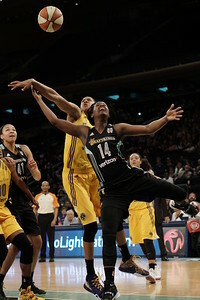 New York Liberty guard, SUGAR RODGERS (14), drives to the basket against Los Angeles in a game at Madison Square Garden in New York City.